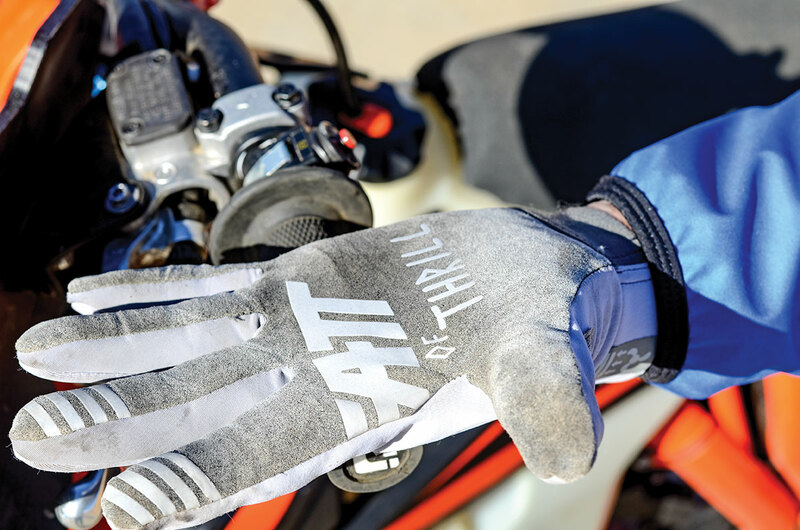 PRODUCT: The Leatt GPX WindBlock glove is one of Leatt’s more budget-conscious offerings. In order to ward off the cold, the WindBlock glove uses a weather-resistant and wind-blocking second skin. The palm is MicronGrip for a slim feel, and Leatt micro-injected a 3D brush guard reinforcement at the pinky and knuckles. The Leatt uses multi-row stitching and is pre-curved for a snug fit. The palm is seamless for comfort and feel. 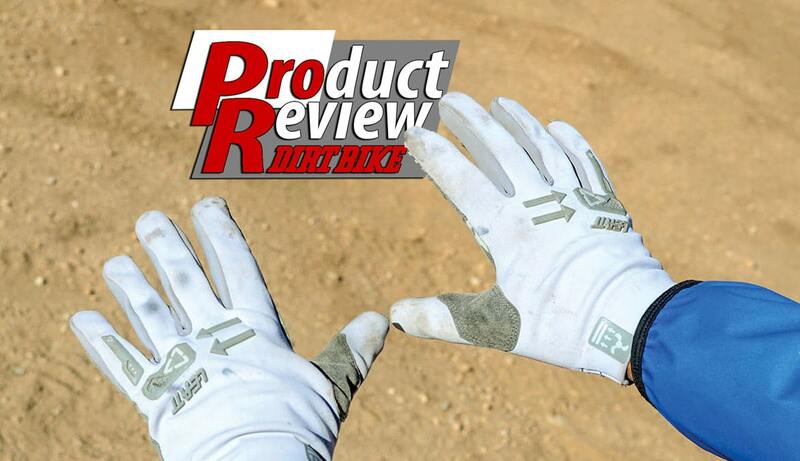 OUR TAKE: We’re big on Leatt’s higher-end gloves that use the NanoGrip palm but realized good feel with the MicronGrip on the WindBlock. In colder temperatures, it definitely offers better protection from the elements than standard free-flow material. There is no break-in required. The glove fits snugly but does not use a Velcro closure like the higher-dollar GPX 4.5 glove. We were fine with this, as the glove did not move around on our hands during testing. Weather-wise, we rode in temps ranging from 25 to 45 degrees and were surprised that the WindBlock gloves kept our fingers measurably warmer. The glove lacks any real protection from brush or sapling hits (like the top-of-the-line GPX 5.5 WindBlock), but it is also half the price. Overall, it’s a good fit for the off-roader, as the elements constantly evolve and cold hands can make for a miserable ride. These babies are going to stay in the gear bag for just such occasions.